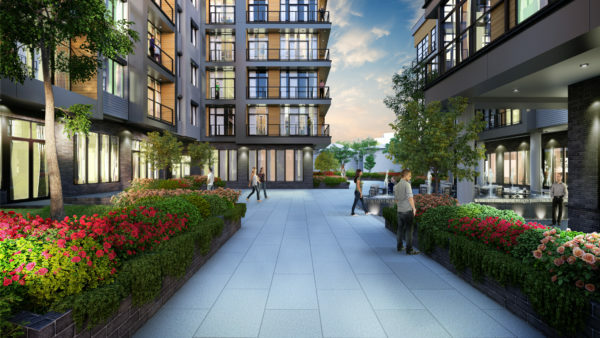 Liberty Square’s 201 opulently-designed residential units caters to the discerning customer by boasting high-end finishes, floor to ceiling glass, hardwood flooring, designer kitchens, spacious balconies, and more. Some units overlook a beautifully landscaped plaza replete with gardens, water fountains, seating areas, and a dog park. The buildings contain beautiful lobbies with lounges, a gym, rooftop terraces, and an underground parking garage.